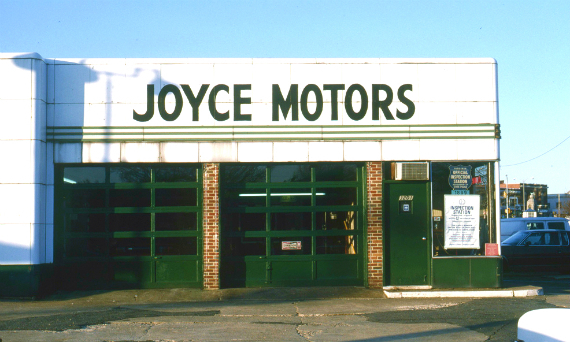 Joyce Motors has been a local family owned and operated repair shop serving Arlington and the greater Washington D.C. area since 1940. Our ASE certified technicians offer complete automotive repairs for all domestic vehicles and most foreign vehicles. "Our repairs will save you time and money." "All of our technicians are ASE certified (which means we know our stuff)." "Not sure what the problem is? Bring it in for a quick diagnostics test." "Is your car Summer-ready? Mention this ad and like our Facebook page to receive this parts offer." "Our techs are ASE-certified to handle any repair you throw at us." No frills, but they get the job done! Always polite and as fast as they can be. Come early! Yes, I'd like to receive news from Joyce Motors. Sign up for the Joyce Motors Newsletter!